CBR Bearing specializes in the manufacture of ceramic hybrid ball bearings for the industrial electric motor repair industry. Their superior craftsmanship, reasonable pricing, and industry-leading lead times position CBR to become a dominant force in the niche marketplace that’s currently filled with low-quality, overseas-produced product. CBR operates in a niche space with a B2B target audience, about half of whom are skilled tradesman from a previous generation. Those decision-makers use the internet and consume digital media much less than the average business person. Therefore, reaching that segment of the audience through digital marketing and social media marketing has limited success. A direct, highly targeted marketing strategy was needed to reach that target segment. Although our preferred marketing tactics are mostly digital, there is still a place for print marketing. From an ROI perspective, CBR is a perfect example of the value in selecting the smartest marketing strategies, regardless of preference. We developed a multi-piece print marketing package that includes branded folders, postcards, bi-fold brochures, magnets and stamps. The pieces work together to create a package that closely matches the visual branding and messaging that we established with their award-winning website. Within just a few days of the first mailing, multiple leads came in! And as expected, customers were impressed with both the pricing and lead times. 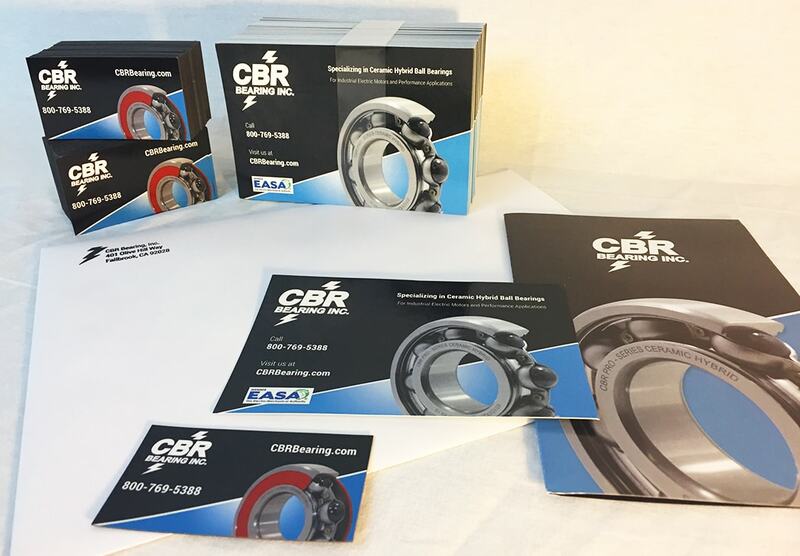 The print package opened the door for CBR to have an eye-opening conversation with interested companies, allowing customers to learn that products of this quality and specialty are available from a boutique US manufacturer.